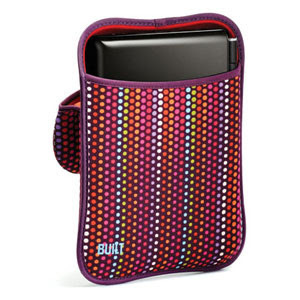 ellehermansen: BUILT: Love Your Stuff. Everything that reminds me of scuba gear seems to impress me. I found this BUILT brand to be quite interesting and quite useful at the same time. 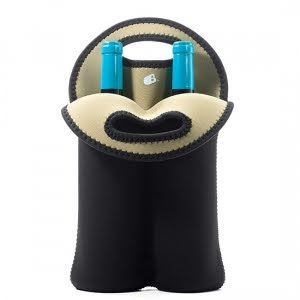 Going to dinner parties and bringing wine can be a hassle, unless you own one of these trusty bottle holders (which come in a vide variety of colour combinations), assisting you in the most comfortable way to any party or gathering. I also like (even though it isn't a L.A.M.B) this cost efficient laptop hoodie that keeps your laptop happy, cozy and scratch free. My biggest love was the camera case. I think most big cameras often match up with ugly bags, or you have to pay a million dollars to get something pretty and girlie looking. 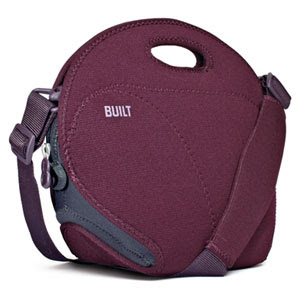 I loved it in this blackcurrant colour and if I didn't have a good bag for my camera now, I would definitely put this at the top of my list from BUILT products. 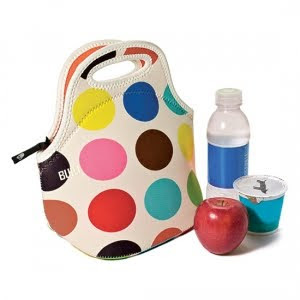 I looove the lunch bag!